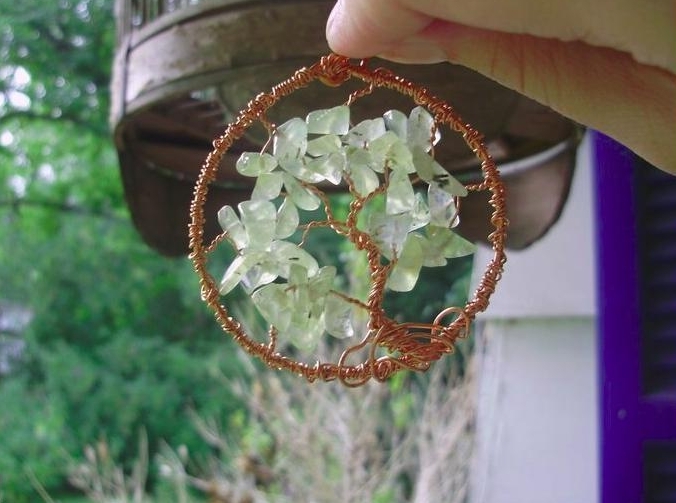 This diamond-shaped piece was the original design for the Winter Tree of Life. Swirling wind brushes against the branches, illustrating the winter chill. I have since decided to make all seasons using the circular shape. This is a one-time only sale unless requested. 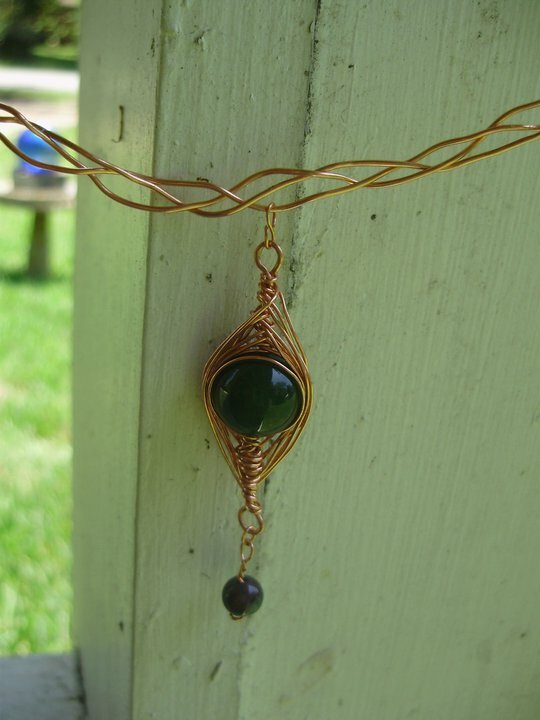 This elegantly-woven jade pendant is made of copper and is adorned with a tiny emerald stone. This haunting pendant has eyes that pop out! Yes, the eyes are adjustable and can fit snuggly within the center or be pushed outward from the back. 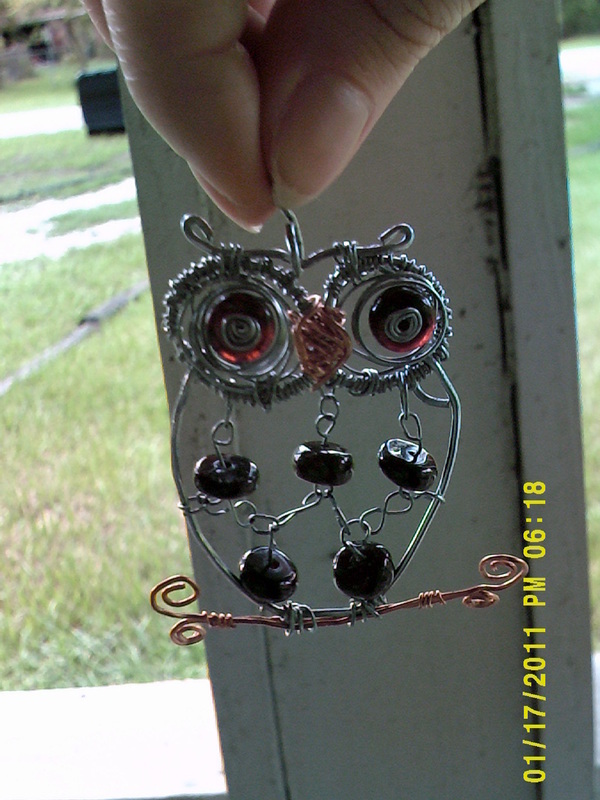 Red garnet eyes and body are surrounded by the steel owl. She sits on her copper perch squawking at the luminous night sky. 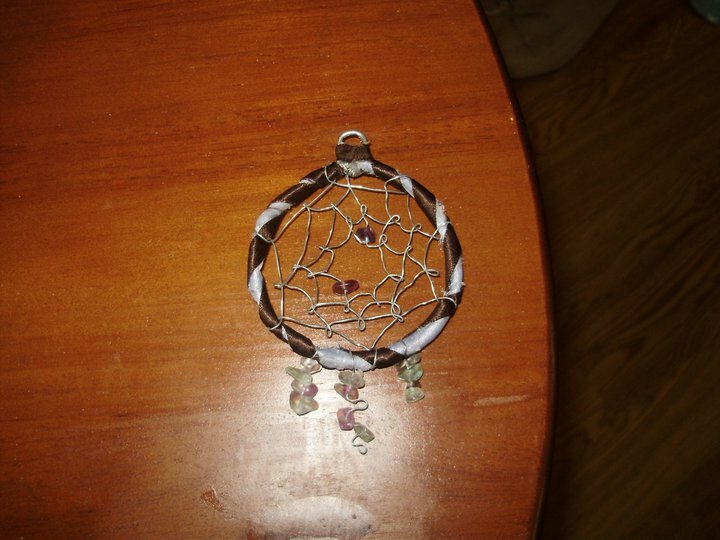 Ribbon-wrapped steel encompasses a woven dream catcher. 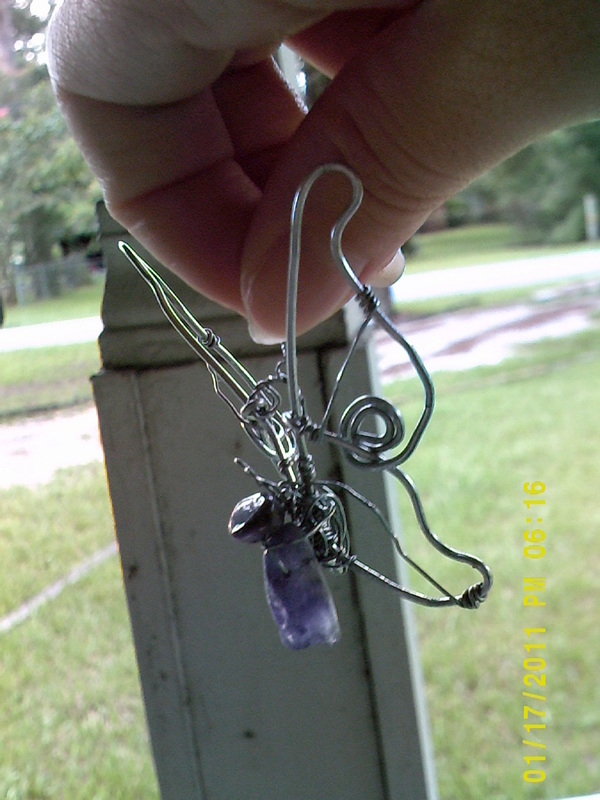 Fluorite in blues, greens, and purples fall from the center. 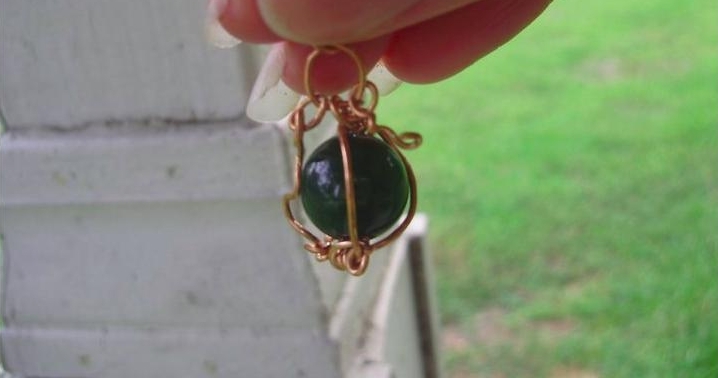 This Cinderella-inspired pendant consists of a green jade caged in copper.